Healing Hands International Ministries, Inc.
Isaiah 1:19.. If you are willing and obedient, you shall eat the good of the land; But if you refuse and rebel, you shall be devoured by the sword. There are many ways to help Healing Hands go to the nations to reach the lost and help the hurting. You can use the donate button above, you can mail your check or monry order to HHIM PO Box 1716 Lake City, Fl. 32056. For larger donations you can call 386-288-6562 and get our Wells Fargo Information for direct deposits. Many of you shop online and are using Amazon to make many of your daily household purchases. 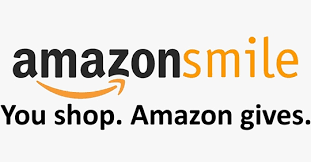 Amazon has teamed up with Healing Hands International Ministries, Inc. so that a portion of your shopping can be giving as a donation to this ministry. When you use Amazon Prime .05% of your purchase comes back to help us with our outreach ministries. Double click on the picture to the left and you will be directed to the correct link to do your shopping and help HHIM. Thank you in advance for all that you do to help this ministry.